INTERNATIONAL REPORT—Radisson Hospitality AB, part of Radisson Hotel Group, has signed 16 new hotel deals across Africa during the last 12 months, doubling their original 2018 target set for the first year of Destination 2022, the company’s five-year strategy. The group currently has 96 hotels and 20,000 rooms in operation and under development across 31 countries in Africa and is firmly on track to reach 130 hotels and 23,000-plus rooms by 2022, according to the company. To support and drive the rapid growth of its African portfolio, Radisson Hotel Group has reinforced its development team with the introduction of senior development professional Ramsay Rankoussi, VP of development for the Middle East, Turkey and French-speaking Africa. Ramsay has been with Radisson Hotel Group for more than five years, initially overseeing the growth of the company in the Middle East and Turkey. He is supported by Erwan Garnier, director of development for French- and Portuguese-speaking Africa. Also joining the group’s African development team is Caryn Venter, coordinator of development for Sub-Saharan Africa. The new organizational structure follows the recent appointment of Frederic Feijs, who leads operations as regional director for Africa – French-speaking countries for Radisson Hotel Group, and William McIntyre, the group’s regional director for Africa, overseeing the remaining Anglophone markets in Sub-Saharan Africa. Both will play a role in strengthening the group’s network in their regions and will increase operational synergies, for the greater benefit of owners. 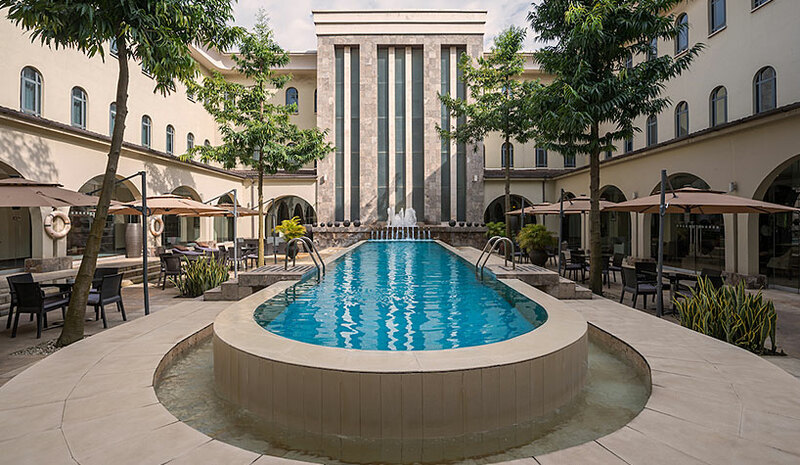 Radisson Hotel Group plans to open a further five hotels across Africa in 2019, pushing the African portfolio to more than 50 hotels in operation before year-end. These openings include the first Radisson Blu hotel in Casablanca, which is the group’s second hotel in Morocco, scheduled to open within the next six months, and the Radisson Blu Hotel Niamey in Niger in Q2 this year.